Paul Callaghan was born in Wanganui, New Zealand. He obtained his Doctor of Philosophy degree from Oxford University, working in low temperature nuclear physics. 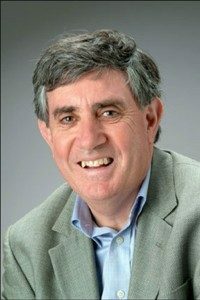 On his return to New Zealand he began researching the applications of magnetic resonance to the study of soft matter at Massey University, and in 2001 was appointed Alan MacDiarmid Professor of Physical Sciences at Victoria University of Wellington. He also headed the multi-university MacDiarmid Institute for Advanced Materials and Nanotechnology. Paul published around 220 articles in scientific journals, as well as Principles of Nuclear Magnetic Resonance Microscopy (Oxford University Press, 1994). In 2001 he became the 36th New Zealander to be made a Fellow of the Royal Society of London. Hewas a founding director of magritek, a small Wellington-based company that sells NMR (nuclear magnetic resonance) instruments. He died on March 24, 2012.